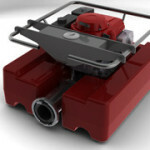 Our floating pumps and strainers are designed for pumping water from flooded places, streams, ponds and hard-to-reach sources of water..
Our company has developed a new series of floating pumps with famous brand AMPHIBIO based on many years of experience and customer requirements around the world. 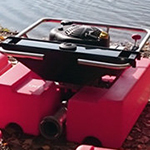 Our floating pumps are designed for pumping water from flooded places, streams, ponds and hard-to-reach sources of water. We focus on practical features and easy-to-use operation. 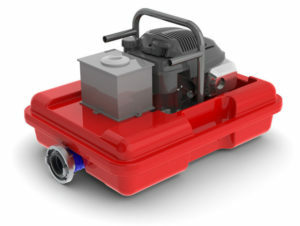 Engine with pump can be easily detached from floater to reach more space during transport. It is impossible to sink the pump due to the construction of the float. Ergonomic frame allows for the pump to be carried by two people with ease. Bottom cover blocks debris and particles over Ø 15mm. Pump construction allows “dry” run without damage. Request a floating pump demonstration.